A congressman from Colorado asked the Department of Veteran Affairs Friday for data on the number of veterans suffering from Gulf War Illness in light of the discovery that the VA had hidden thousands of veterans on secret waiting lists who needed care. "Is the VA hiding vital information about a quarter of a million Gulf War veterans who are waiting for care, just as the VA has been hiding information on veteran patient wait times?" Rep. Mike Coffman, R-Colo., asked Acting Under Secretary for Veterans Health Dr. Robert Jesse. "Will you provide the committee with all of the Gulf War data within 30 days?" Jesse said he the VA is not hiding veterans suffering from Gulf War illness. 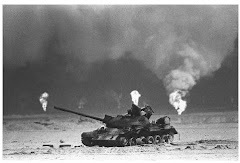 Gulf War veterans say the VA ignored for years links between their service and chronic conditions that include unremitting pain, memory loss, intestinal disorders and exhaustion. "We're not hiding data," Jesse told Coffman during a hearing before the House Veterans Affairs Committee. He followed up saying he could provide access to as much data the VA owned that didn't interfere with privacy rights. "We're not looking for individual names here," said Coffman, who served in the Gulf War as a Marine. "We're looking for the conclusions of the research ... I want Gulf War veterans to have access to this data, not just me." Jesse testified before the House committee in response to revelations that officials and staff at VA hospital and clinics across the country have manipulated patient appointment wait times to make it appear they were meeting performance goals. The VA has found more than 100,000 veterans waited months for an appointment rather than the two weeks expected or never got an appointment at all. Coffman's changed the subject to focus on Gulf War Illness a week after the House passed his legislation to make the VA's Gulf War Illness research more transparent. Coffman has been critical of the VA's efforts to get to the bottom of Gulf War illnesses, accusing the department of misdirecting research funding. Coffman also slammed the VA for dismissing Gulf War illnesses as "something that happens after every war," saying that attitude "dishonors the service and sacrifices of those who fought in that war." James Binns, chairman of the Research Advisory Committee on Gulf War Veterans' Illnesses, said Coffman's bill would restore to the committee its authority to review the effectiveness of VA's research program the research. The VA leadership, including Jesse, stripped that authority from the committee a year ago after the advisory committee reported on some of the abuses to former VA Secretary Eric Shinseki. Binns delivered his report in a different forum on March in testimony before the House Veterans Affairs Committee on March 25. Coffman's bill would make the advisory committee an independent panel within the VA, with the majority of its members appointed by the chairmen and ranking members of the House and Senate veterans' affairs committees. Now, they are appointed by the VA.
Last year Dr. Steven Coughlin, who resigned his job as a senior epidemiologist in the VA's Office of Public Health, told lawmakers that OPH buries or obfuscates data the VA does not want in the public, including veterans' health problems from toxic exposures during the Gulf War and more recent exposures to burn pits in Iraq and Afghanistan. Coughlin also told Congress that OPH had manipulated information on veterans' health through the questions included in its surveys. "On the rare occasions when embarrassing study results are released, data are manipulated to make them unintelligible," Coughlin told the House panel. The information Coffman is demanding stems from a 2010 study of 60,000 Iraq and Afghanistan war veterans, of which between 20 to 30 percent also served in the 1991 Gulf War. Coughlin's testimony revealed that the study produced data on veterans' exposures to pesticides, oil well fires, and pyridostigmine bromide pills that were taken by Gulf War vets as pretreatment for possible exposure to nerve gas. Not only was the data not released, he told Congress, but VA never revealed that it had this information on Gulf War veterans. "Anything that supports the position that Gulf War illness is a neurological condition is unlikely to ever be published," he said. Binns told Military.com that he is hoping the revelations about appointment schedule manipulation across the VA will put more pressure on the department to reveal what it has on Gulf War Illness. "It is worse than [the wait list issue]. It affects more veterans," he said. "This is not just delaying care. This is denying care entirely." The VA has found that more than 57,000 veterans had to wait about 90 days for an appointment after requesting one, while another 60,000 over the past 10 years never saw a doctor after seeking an appointment. 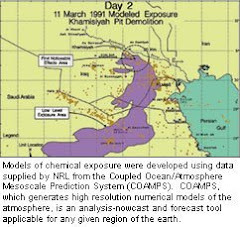 An estimated 250,000 Gulf War veterans reportedly are suffering from the effects of exposure to toxins during the conflict. The VA has to date awarded disability compensation to just over 11,000 Gulf War vets for what it calls Gulf War-related illnesses. Another 20,000 have gotten VA disabilities for conditions it does not connect to the 1991 conflict, Binns said. "If lying about the wait list is bad, lying about science and falsifying reports is much more serious," he said. "And the lying goes up and down the organization, to the very top."